When Entegra Coach started a little over a decade ago, we set out to build the quietest-riding, best-handling diesel pushers on the market, and we succeeded. Over the last couple years, we’ve expanded our lineup to include gas Class A and Class C motorhomes. We wanted to be sure these new products provided an amazing on-the-road experience as well—to make the journey just as enjoyable as the destination. 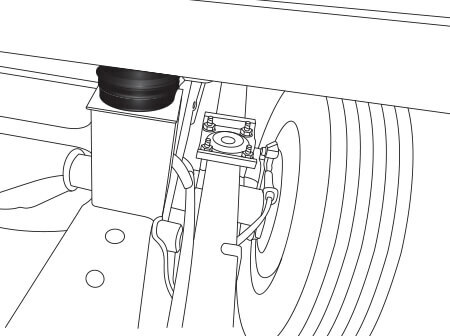 That’s where the E-Z Drive® system comes in. It’s a blend of premium ride and handling components that truly set our new motorhomes apart from others in their classes. 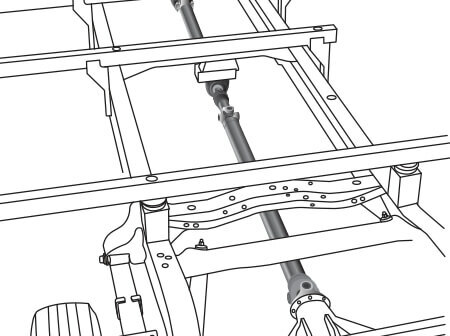 Different models employ different combinations of these components, carefully selected and engineered to provide the best possible ride for their specific body size, style, engine type and measurements. 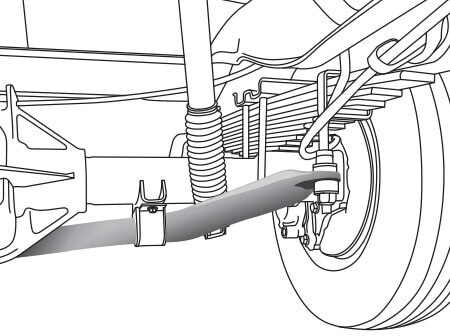 Integrated into the suspension system, the bumpers assist in absorbing impact and dampening noise during extreme road occurrences. 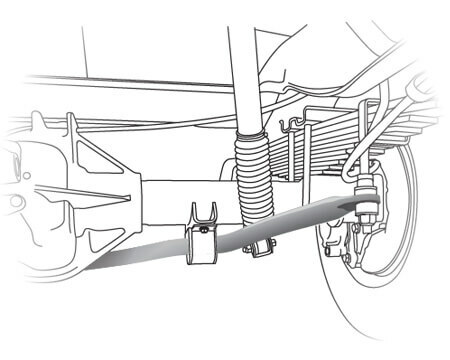 These work with the chassis’ existing springs to give the RV more support, especially improving stability under heavy loads. 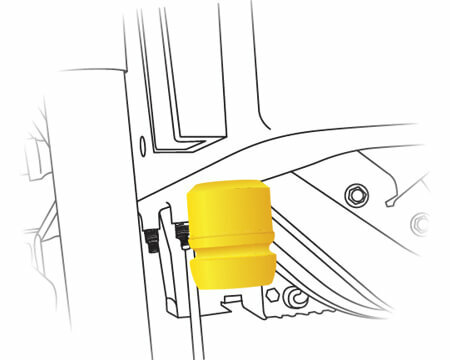 Positioned near the tires, these absorb road shock, dampen noise and minimize vibrations. 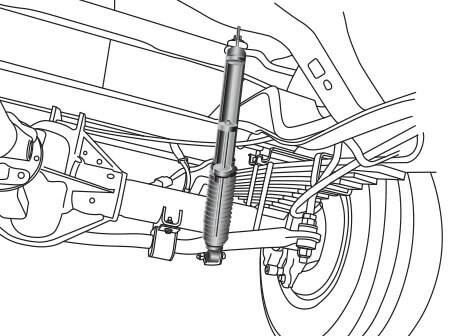 Taking the extra step to precision balance each driveshaft ensures smooth and efficient power transfer to the wheels. 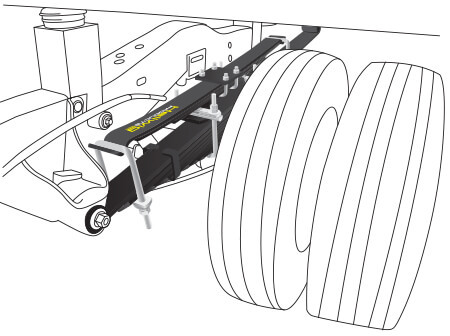 These reduce body roll during cornering or while passing over road irregularities. These larger bars with polyurethane bushings, instead of rubber, transfer power faster for extra support, more stability and easier handling. 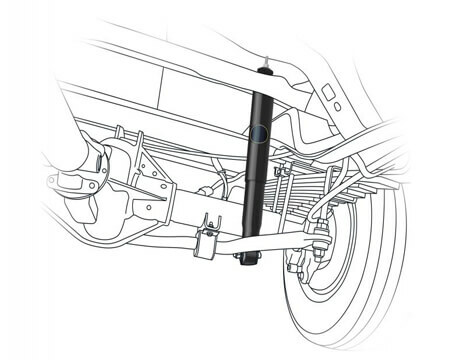 Their unique monotube gas-pressure design provides optimum ride quality and vehicle control. The best way to truly understand the difference E-Z Drive makes is to feel it for yourself. To find out where you can learn more or experience E-Z Drive, use our dealer locator tool.